Despite the unseasonable weather, we had a good half term with lots of families visiting. It felt odd having the log burner lit at the beginning of June, but customers appreciated it. We were getting down to our last few logs, but took delivery of another load last week ready for next winter. We need to make thirteen trips with our trolley to bring the logs up the 100 yards along the path from the roadside where they are tipped. A coffee at the end of that tastes good and feels well deserved. 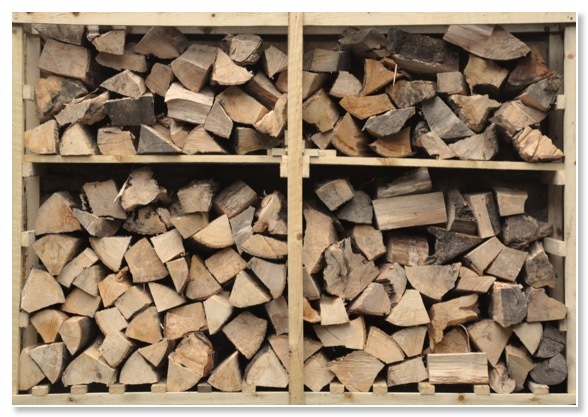 We hope the logs will have the next four months or so to dry out before we need to start using them. We had a photographer take photos of the coffee shop in action. 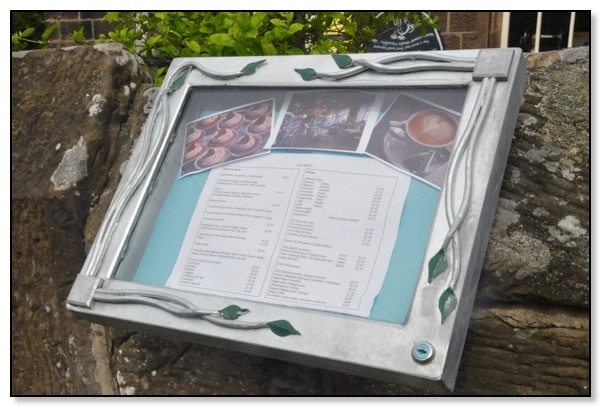 We wanted some interior shots to put on the website as well as in the new display case we have had made by our local blacksmith for the outside wall. The photographer managed to get some pictures of us at work - obviously hard for us to do; you can’t take a selfie while making a decent cappuccino! We have created a new album on the website here with all the photos in them. Thanks to the North York Moors National Park Authority for helping us with the costs of this piece of work. We got the display case because we have noticed passers-by peering into the coffee shop from the path but not really being able to see inside. We wanted them to get an idea of the place as well as a look at the menu to help them decide to give us a try. It seems to be working. At the same time we asked the blacksmith to make and put up two flagpoles on the front wall of the playground. 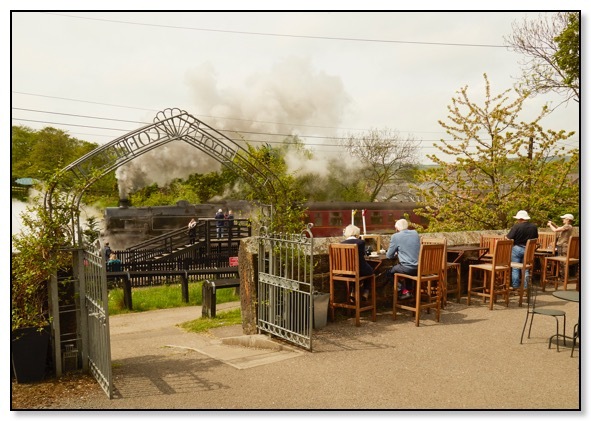 We can use them for flying flags and displaying bunting to help people notice us from the steam trains as they pass by. 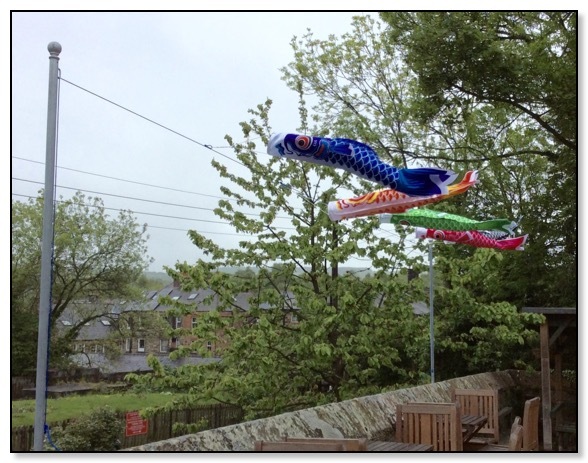 We put up these traditional Japanese carp windsocks first and enjoyed watching them ‘swimming’ in the wind.